Here a list of activities in Dayton Ohio perfect for a families on a budget because they are all FREE. The National Museum of the United States Air Force: A person could spend a whole week inside the museum and you still would not see everything. Free tours daily and the Memorial Park is a great place for a picnic. 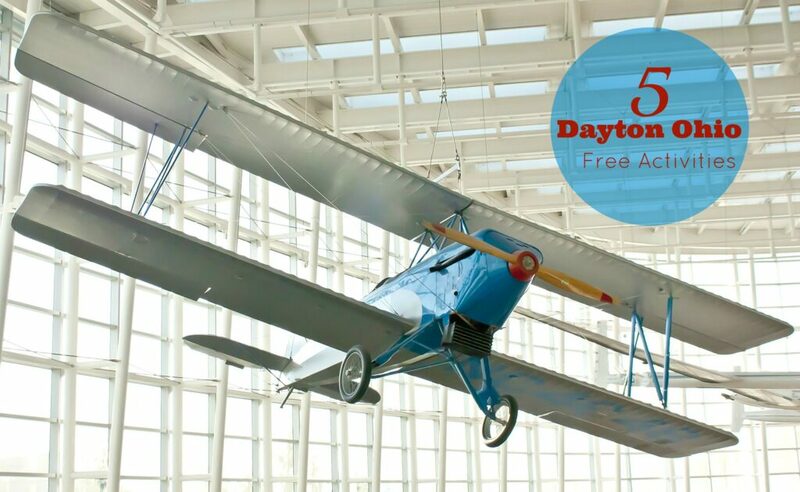 Dayton Aviation History: Did you know Wright Brothers grew up and begun learning to fly in Dayton? You can visit the all the Wright Brothers sites for free. The original bike shop (Wright Cycle Company) and the Wright-Dunbar Visitor Center are close together in downtown Dayton. Visitors can also visit the field where they practiced flying (Huffman Prairie) and just up the road is the Huffman Prairie Flying Field Interpretive Center. John Bryan State Park: This park has camping, hiking, mountain biking (11 miles), places for picnics and more. If you are up for a longer hike, hike into Clifton Gorge for even more spectacular views. There is dining near by in Yellow Springs or in Clifton at Clifton Mill. Young’s Dairy is also nearby and is a great place to stop for fun and ice cream. Rails to Trails: With the conversion of train tracks to bike paths there are more than 330 miles of paved trails in the Miami Valley. If you have a bike and a map you have hours of entertainment and can see so many different places through out the Miami Valley. Five Rivers Metro Park: There are a number of free parks through out the Dayton area. Ranging from farmers markets to fishing ponds to playgrounds. They are so many activities available in Dayton Ohio for free.